Just south of Kyoto is a famous town called Nara. Historically speaking, it is famous for once being the capital of Japan from 710-794 (the Nara Period) but to tourists like myself, it’s for being the city with over 1000 wild deer and a giant Buddha! 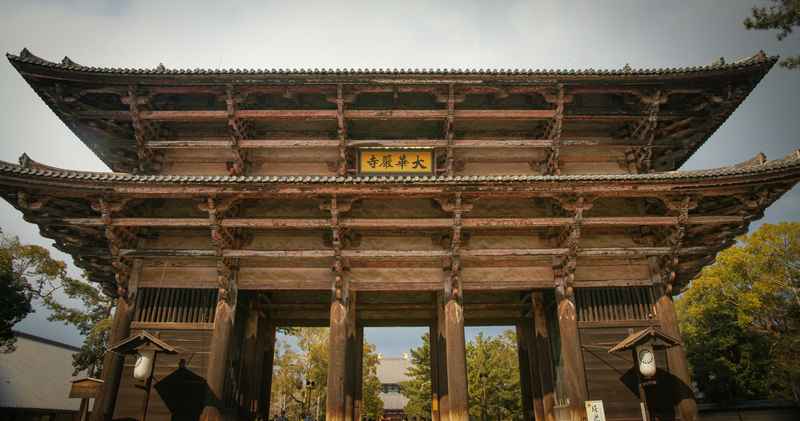 I was able to visit Nara as a day trip from my time in Kyoto. You can get there in less than an hour. As soon as I stepped off of the bus, I saw them….they were everywhere! They’re impossible to miss—the deer! 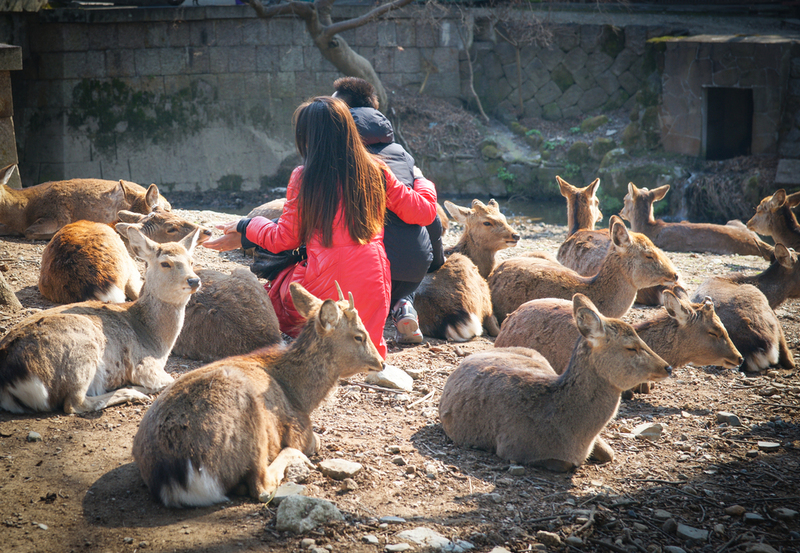 So many deer and they all want to be your friend…best friend (if you have food)! 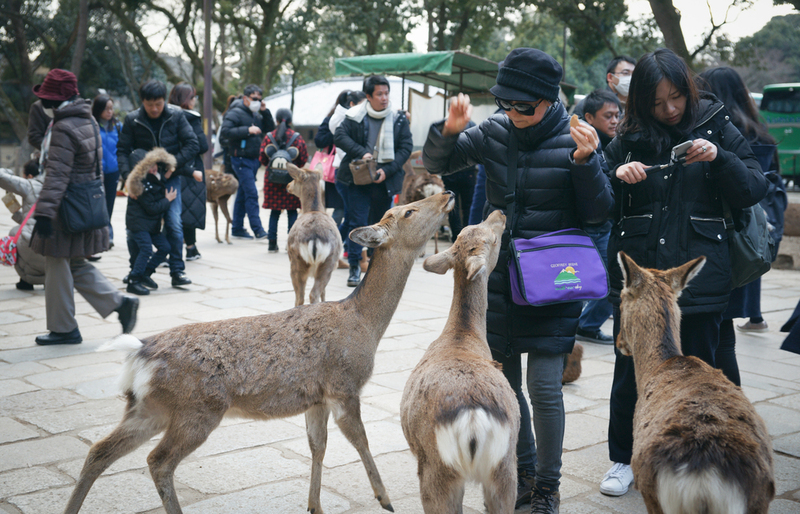 You can buy little packs of “deer biscuits” to feed them which of course I had to do. Now the deer can get a little ‘aggressive’ when you’re feeding them, but who could blame them? Their deer biscuits look like those fancy Italian wafer cookies, pizzelles! After feeding the deer for a while (probably too long, but I couldn’t stop—they were so cute! ), I moved on to more cultural endeavors. I walked just a few minutes away to the giant Buddha inside of Todai-ji. 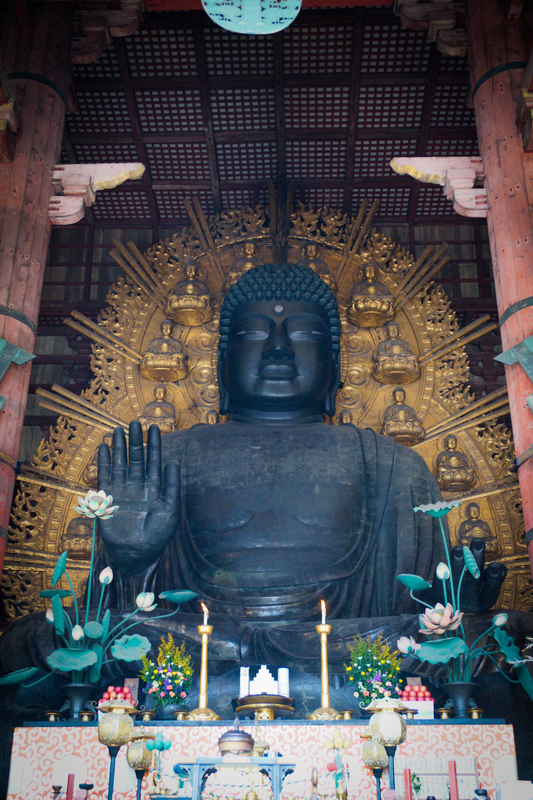 This daibutsu dates back to 752 A.D.! It is the world's largest bronze statue of Buddha. It is almost 50 feet tall and is 550 tons! It's quite impressive, as is the giant structure that houses it, the Great Buddha Hall, which is the largest wooden structure in the world. So I'm guessing you can see why Nara was so impressive to me. 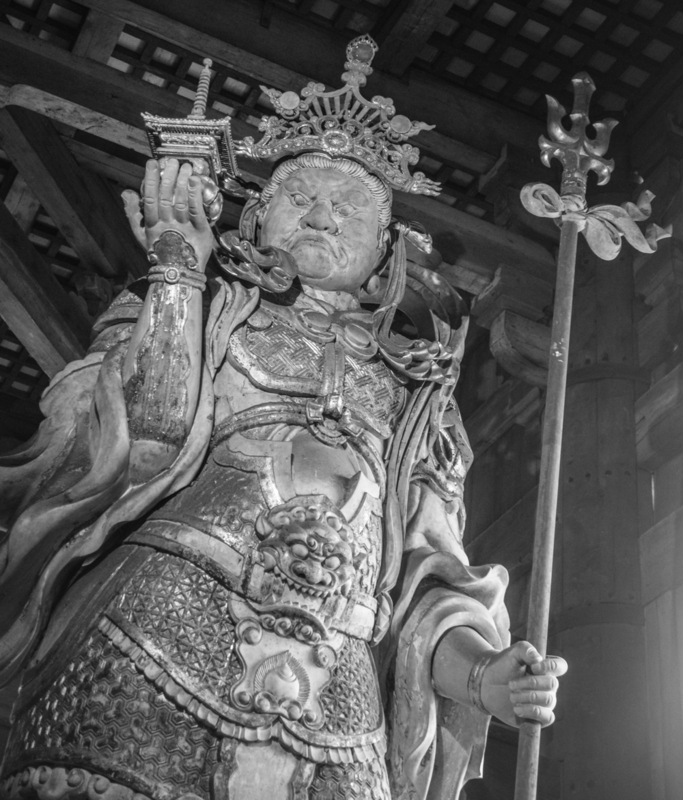 Just imagine it.... first you walk thru hundreds and hundreds of wild deer until you get to the giant entry gate...then when you turn the corner....you see the largest wooden structure you've ever set eyes on....only to find inside, the largest bronze buddha! What a spectacular day!